Income-driven repayment plans are enormously helpful if you are struggling to make payments on your federal student loans. These plans base monthly payments on a percentage of your discretionary income and family size. However, the Department of Education and your servicer require you to send your income and family size information each year so they can recalculate your monthly payments (if needed). Failing to recertify your income-driven repayment plan by the deadline can lead to disastrous consequences. Depending on the amount of student debt you carry, your monthly payments could jump by hundreds of dollars. 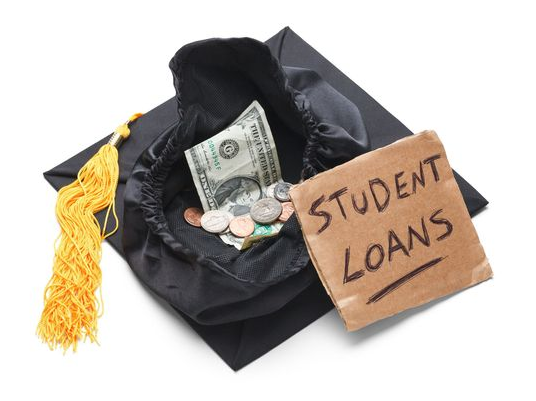 What Can Happen if You Forget to Certify Your Income-Driven Repayment Plan? Let's say you carry $95,000 in federal Direct loans and reported an adjusted gross income of $35,000 in 2016. For 2017, you have decided to utilize the classic income-based repayment (IBR) program. Starting in April, your monthly payments dropped to $200 per month from $1,100 per month (what they were under your 10-year repayment plan). To make repayment even easier, you set up your monthly payments to pull directly from your checking account by the due date. Let's jump ahead a few months. In December of 2017, your loan servicer sends you an email warning that you must recertify by February 24th of 2018 or your loan payments will increase to $1,100 per month by April 3rd. However, you have changed your email and phone number. You never receive the warning. February 24th rolls around and you miss the deadline. Once April 3rd arrives, you are horrified to discover your checking account is overdrawn by more than $500, overdraft fees included. You are unable to pay your rent, utilities, and credit card bill. Although this is a worst-case scenario, many people do not recertify their income-driven repayment plans on time each year. In 2015, the Consumer Financial Protection Bureau reported that 57 percent of borrowers using these plans failed to recertify by the deadline. This is not always the fault of the borrower. Loan servicers may not file recertification paperwork on time. Borrowers who sent in their updated information on time may be frustrated by higher payments, even when they did nothing wrong. The good news is that the Department of Education does not "kick you out" of your income-driven repayment program. You can still recertify, although late. Unfortunately, you may be out several hundred dollars. What is likely to happen is that your loans will be placed into an administrative forbearance while your updated information is processed. This can temporarily halt your unaffordable payments. It is crucial to remember the recertification deadline. Ask your servicer if they can provide you with this deadline. Always make sure your servicer has up-to-date and accurate contact information. If possible, try to recertify months before the deadline. This may help avoid any holdups with your recertification. The Kansas City bankruptcy attorneys at The Sader Law Firm are dedicated to helping people find solutions for managing debts.